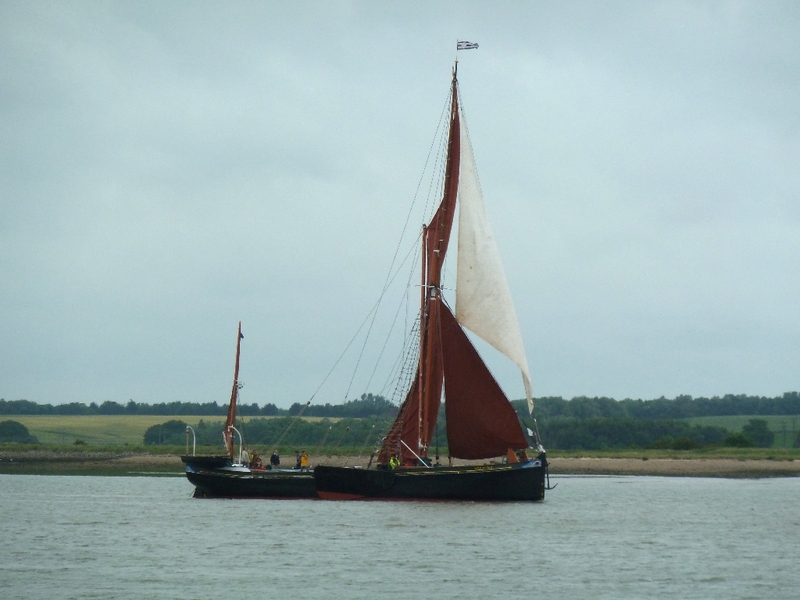 We were delighted that Hugh Perks was able to come along to the SSBR Annual General Meeting this year, and even more delighted that he managed to get to the Medway Barge Match on 3rd June 2017. As usual, he has taken some excellent pictures and was kind enough to let me have three of them for The Barge Blog. So here are Mirosa; Niagara and Edith May; and Edme. 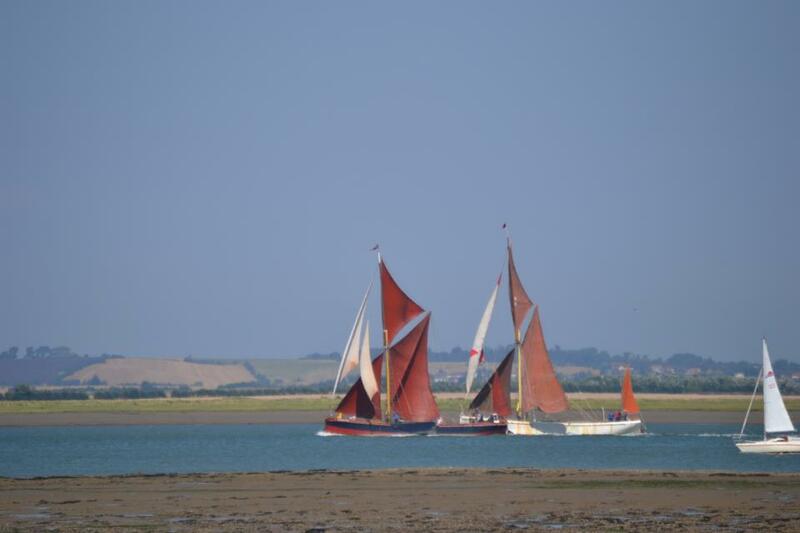 Hugh Perks has kindly sent us these pictures of this year’s Pin Mill Match. It’s been a great year for Barge Matches. First in Class A was Edme, below. Here’s Mirosa (below) second in Class A. And this is Xylonite, third in Class A (below). First in Class B was Niagara (below). And First in Class C was Ardwina (below). 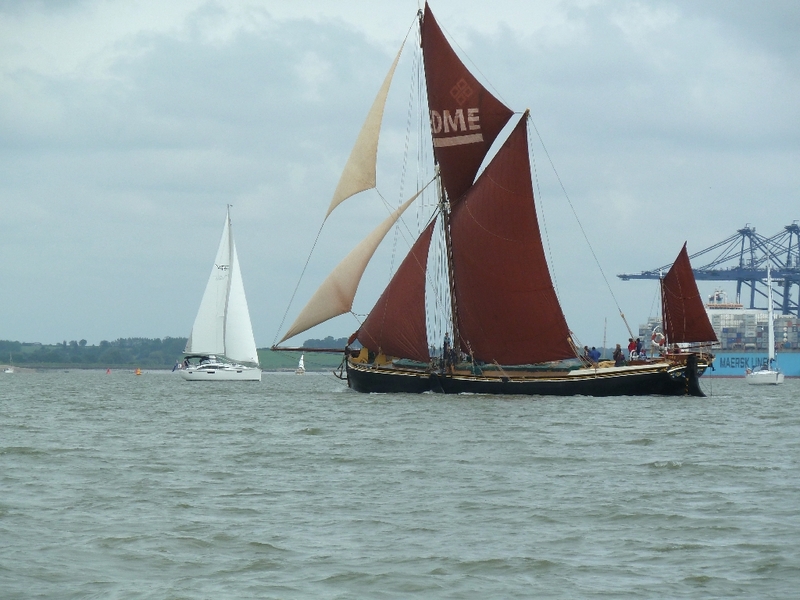 It was a great achievement to gather 16 barges for the Thames Match on Saturday. It would always have been a special occasion as the 150th anniversary of the first match, but was made more special – and more poignant – by the sudden death at the end of last year of Mark Boyle who had re-started the matches in the 1990s and done so much to drive them forward. All credit then to the Committee who picked up the reins, (oh dear, we are into horse metaphors now! ), and provided such a special 2013 match. Not least, mention must be made of Richard Walsh, our own SSBR Vice Chairman, who stepped in as Match Secretary. 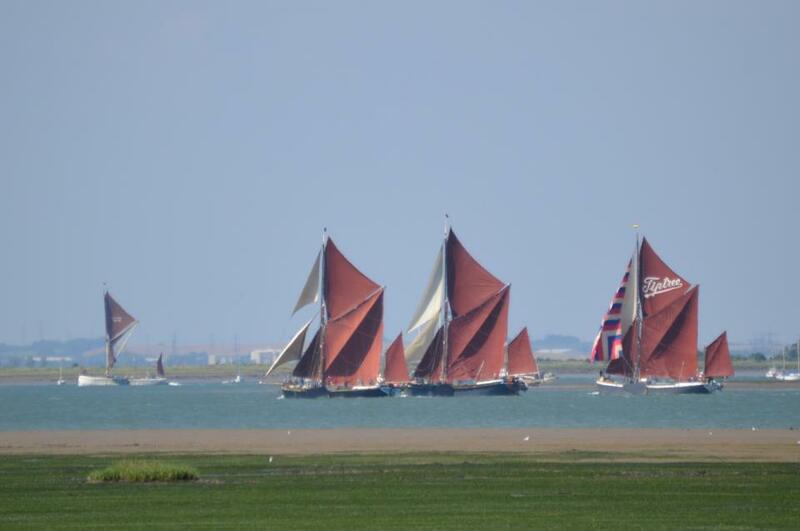 SSBR Committee member and Cambria Trust Secretary, Dave Brooks, has published an excellent report of the match on the Cambria website. As he says, he had defected for the weekend to Lady Daphne, but he can’t resist watching out for Cambria! Here’s the link to the report on the Cambria Blog. The splendid picture was taken by Dave Brooks. held last Saturday, was the best race of the season. And it had a “newcomer” in that Niagara took part, less than a week after she returned to the active barge fleet. “The Match started in light airs east, soon getting up SE and just up to Force 6 for the run home. Cabby made the fastest start, 20 seconds after the gun. There were some thrilling finishes. In the bowsprit class Mirosa beat Marjorie by the tip of her bowsprit, (half a second between them). 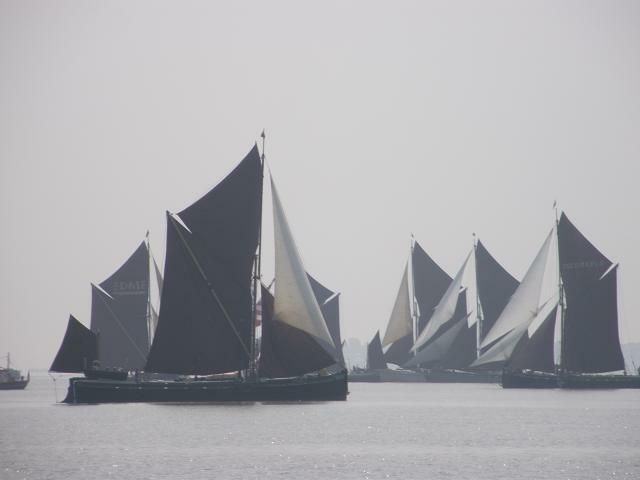 3rd was Lady of the Lea, (the only other bowsprit barge), which incurred a 5 hour penalty for starting 15 minutes early with the staysail barges, and was banned from entering public houses for the next two years. In the Staysail Class Niagara and Repertor were neck and neck at the finish, with Repertor one second ahead. After a protest on the matter of something earlier in the match, Repertor was given a 5 minute time penalty, giving Niagara the victory. Decima was 3rd, getting the Percy Wildish Cup which was fittingly presented by “Beefy” Wildish’s son. Restricted Staysails went to Cabby, (in spite of also incurring a time penalty). 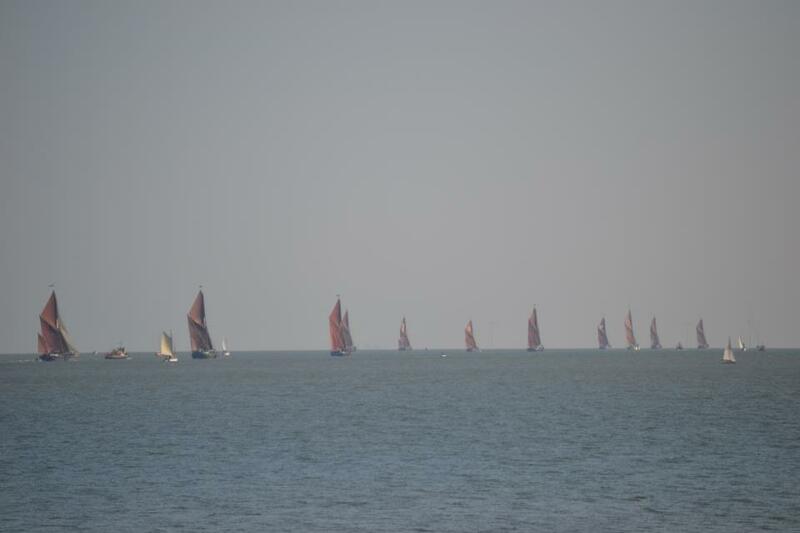 There was a close finish for 2nd place between Phoenician and Orinoco, (27 seconds), but it was given to Orinoco as Phoenician had failed to go round one of the marks. 3rd was Greta and 4th Pudge. The fastest smack was Alberta, but on handicap went to Emeline. 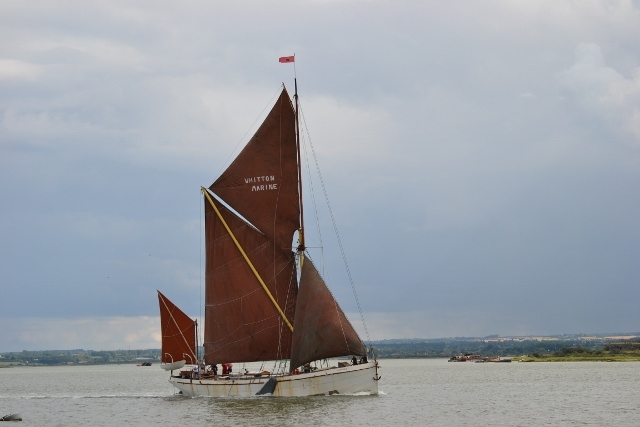 If you had been in the vicinity of Berry Wiggins Jetty on the river Medway today, 6 August 2012, you could have been forgiven for thinking that you were watching Reminder sailing. How wrong you would have been, for today Niagara made her welcome return to the active barge fleet. 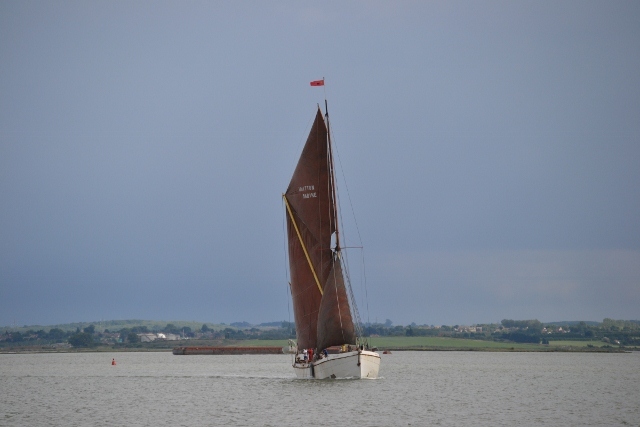 She slipped her mooring at Hoo and made her way out into the river in the late afternoon. All around thunder rattled and lightning flashed, but unperturbed the crew of the Niagara was determined to set sail. Niagara was built of steel in 1898 by Forrestt of Wivenhoe, who also built Atrato and Wyvenhoe. Niagara was the biggest of the three barges by some 30 tons. Originally built for Augustus George Hughes of East Greenwich, she was sold to the Tilbury Contracting and Dredging Co Ltd of London in 1906, and by 1916 she was sold to John George Hammond of London. By 1924 her owners were the London and Rochester Trading Co Ltd, and, after being requisitioned by the Ministry for War Transport, she was fitted with a 3 Cyl. Kelvin engine in 1940. 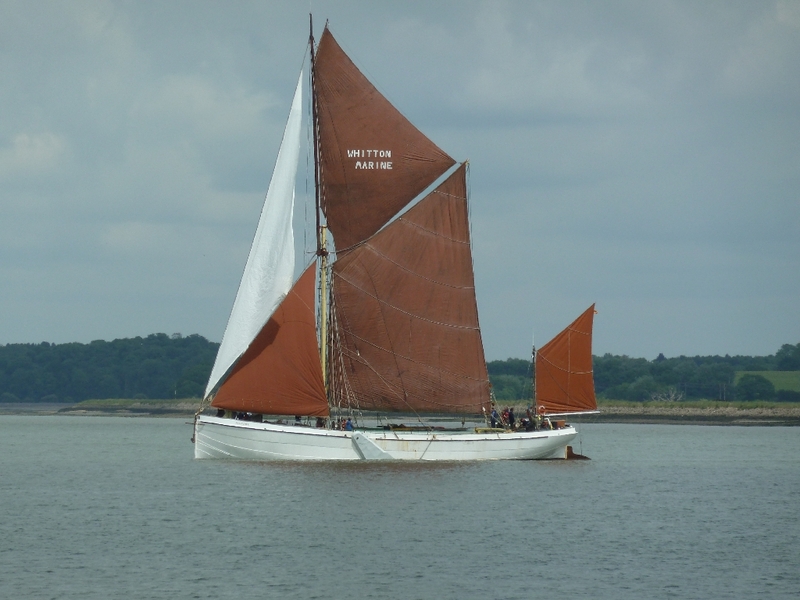 After another spell requisitioned, she was sold in 1970 to William Mulcuck of Chatham who was her skipper at the time, and then in 1975 to Richard Twining of Battersea. 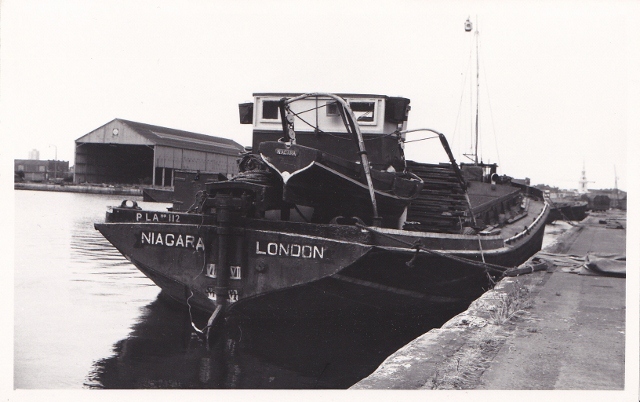 Niagara spent many years trading as a motor barge and her end was destined to be at a scrap yard, but her present owner, Peter Sands, acquired her in 2001 and set about returning her to sail. Almost unnoticed down at Hoo in Kent, Niagara slowly started to take shape. And today Peter finally saw his hard work pay off as the Niagara set sails for the first time in over 70 years. 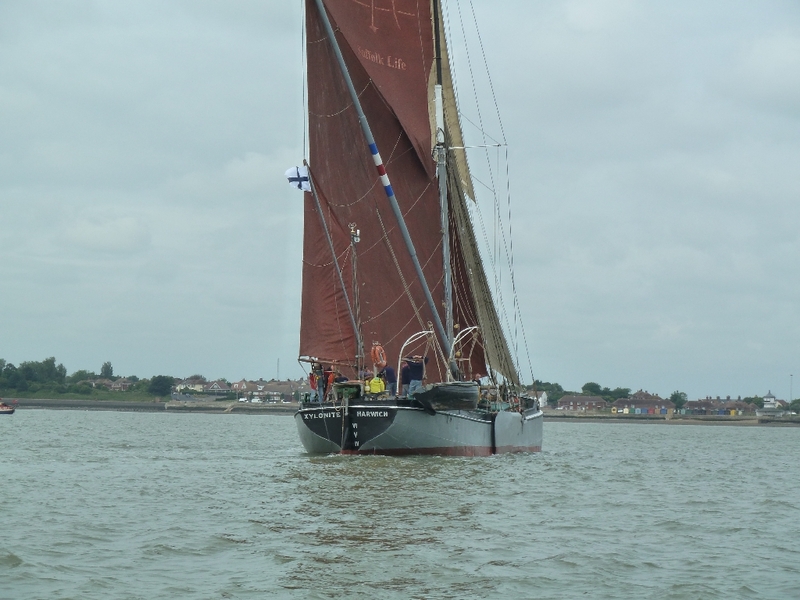 For just over an hour the crew put her through her paces, even boldly sailing her into the creek for a triumphant sail by at Whitton Marine where her rebuild took place. It was a pleasure to witness, and to my untrained eye she looked to be going quite well. 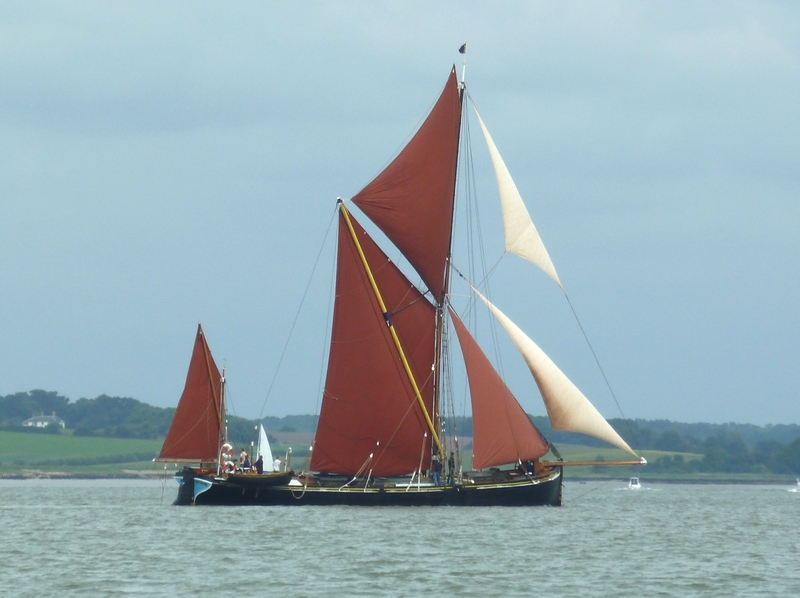 It is hoped that she will sail in the Swale Barge Match on Saturday 11th August. Well done to Peter and we wish you and Niagara well for the future.